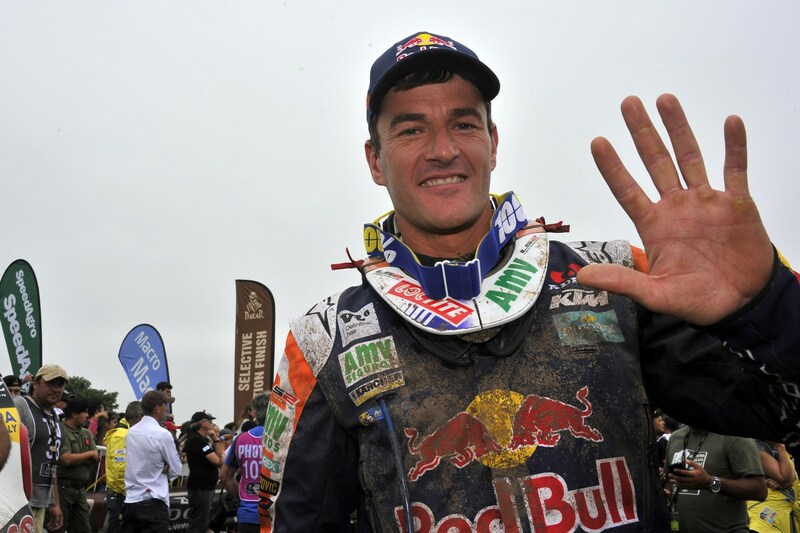 KTM is incredibly proud that Red Bull KTM Factory Racing rider Marc Coma, who hails from Avià in Spain, sealed his fifth Dakar Rally title on Saturday and with it brought home KTM’s fourteenth consecutive win at one of the most notorious races in the world. 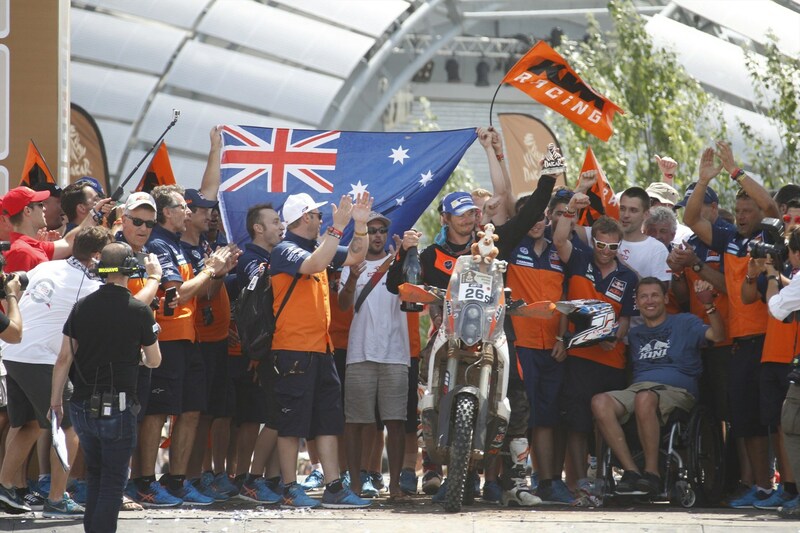 While Paolo Goncalves took second place, KTM racer and Dakar rookie Toby Price took an outstanding podium third at his first attempt in an incredibly challenging Dakar race, which took place over 14 days and a route of approximately 9,000km through Argentina, Bolivia and Chile. 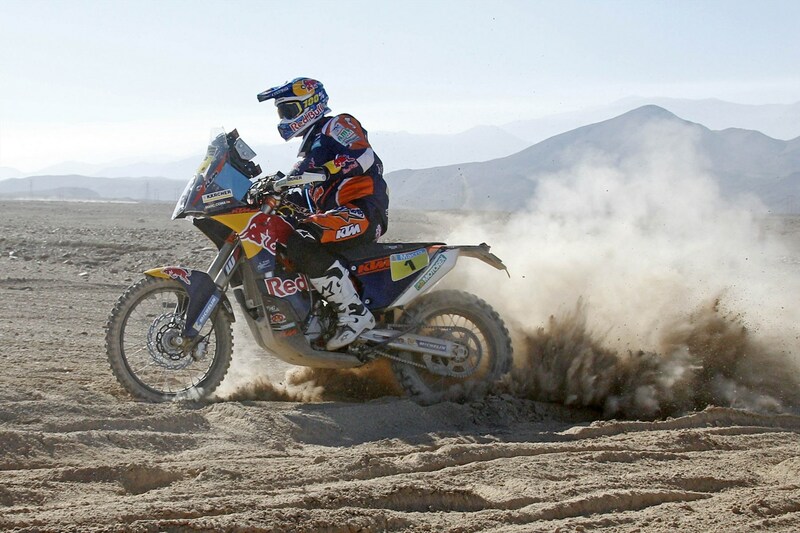 Coma had a 17-minute lead into the final of 13 stages, although the race was halted on safety grounds due to rain at CP2 and Coma declared the winner.